Get Tata NEXON for Test Drive! Provide your details so that we can arrange a test drive of Tata NEXON for you at your city! 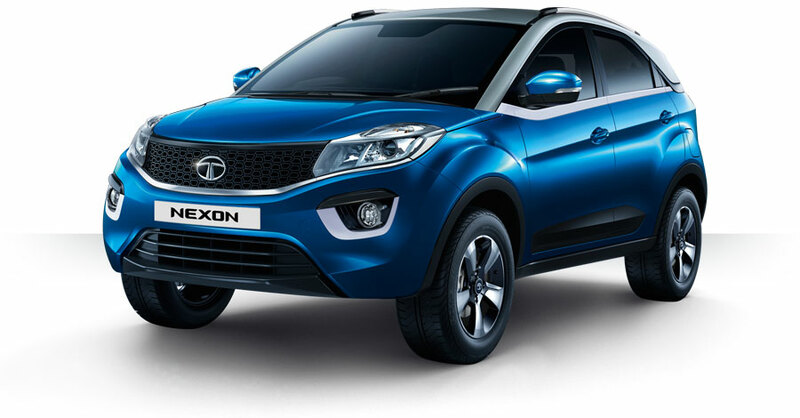 The all new compact SUV from Tata Motors – Tata Nexon is offered in Nexon Blue Color variant. The character color which is Moroccan Blue of Tata Nexon is pretty much different and stands out. Check out the above photo for Tata Nexon in Blue color variant (Moroccan Blue). Check out the photo of all new Tata Nexon in Glasgow Grey color variant. The all new Tata Nexon in Grey color can be seen above. 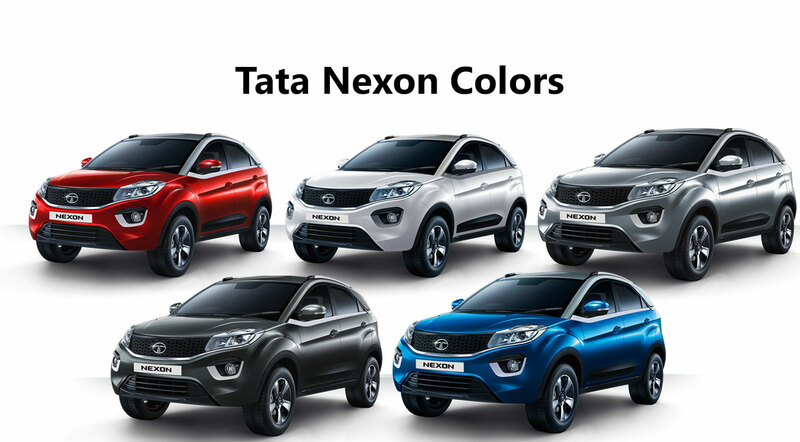 Out of 5 different colors offered by Tata Nexon, the Glasgow Grey color of Tata Nexon is one of the prominent one’s. The all new Tata Nexon compact SUV is available in Seattle Silver color. Above is the photo of all new Tata Nexon in Seattle Silver color variant. Tata Nexon’s Silver color variant offered is also one of the stand-out colors among other color options. Tata Nexon has also been launched in the Vermont Red color variant . The Berry Red color can be seen in other Tata popular Tata cars including Tata Tiago (Also Read: Tata Tiago Review and Tata Tiago Colors ) and Tata Tigor (Also Read: Tata Tigor Review and Tata Tigor Colors ) . Check out the above photo of Tata Nexon in Red color variant (Vermont Red Color Variant). 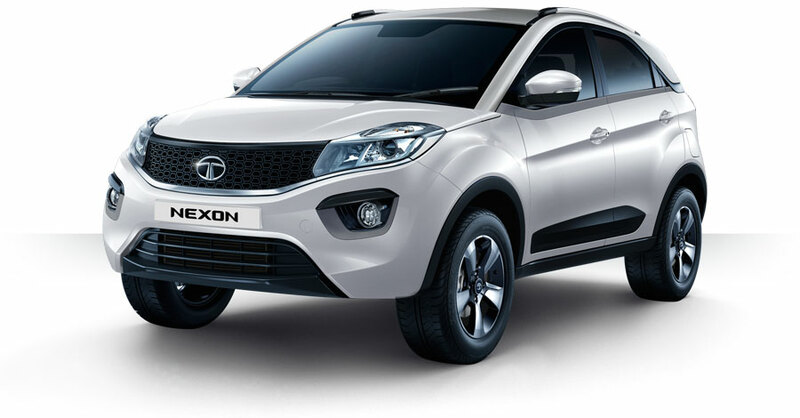 The all new Tata Nexon is offered in White color variant. The photo of all new Tata Nexon in Calgary White color can be found above. The Calgary White color in the offering is prominent. The all new Tata Nexon will be getting 1.2L petrol powertrain as well as the 1.5L diesel powertrain in India. Tata Nexon will be available in wide range of trims and variants like XE, XM, XT, XZ+. You can add more to this story by commenting below. Which Tata Nexon color option did you like?